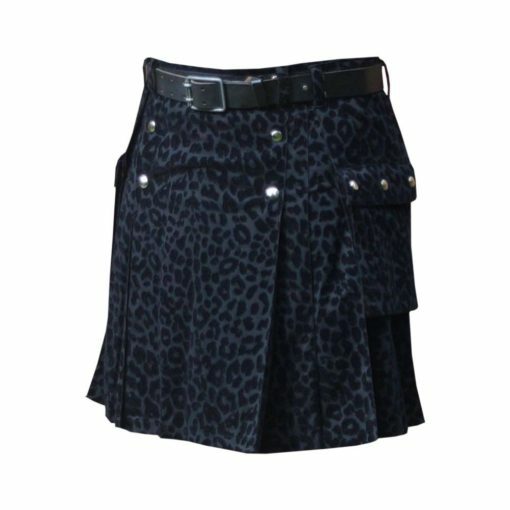 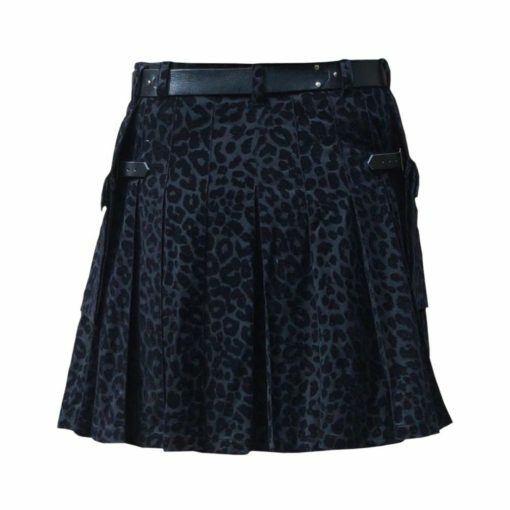 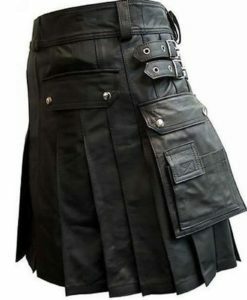 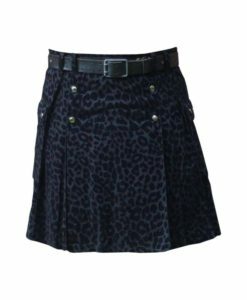 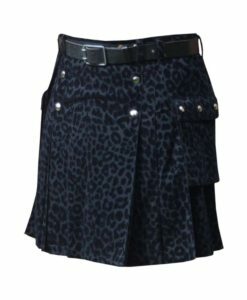 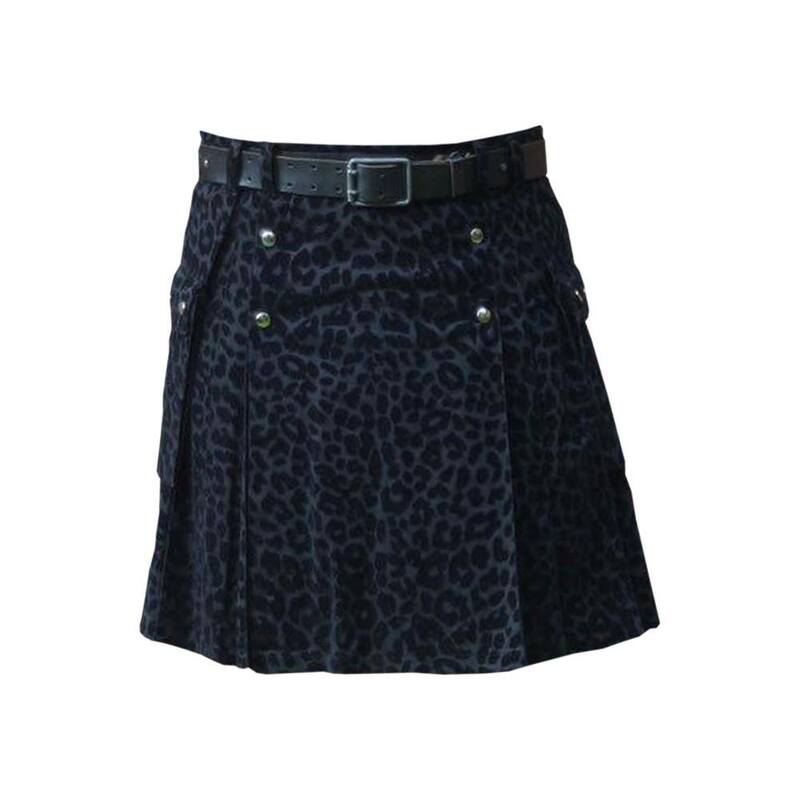 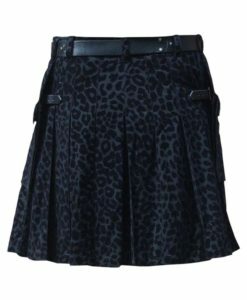 Black Leopard Style Kilt made up of 100% cotton with Black Leopard skin pattern giving it an excellent look. 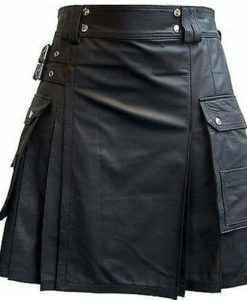 It is going to a unique addition to your kilt collection. 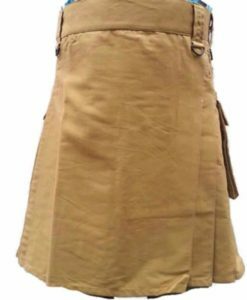 There are two flap pockets on either side studded just like the apron. 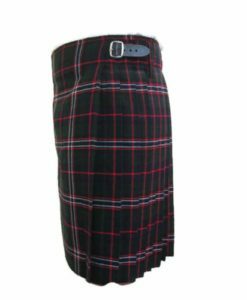 Deep sewn pleats which gives you full swing. 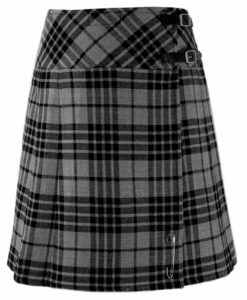 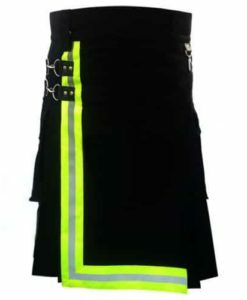 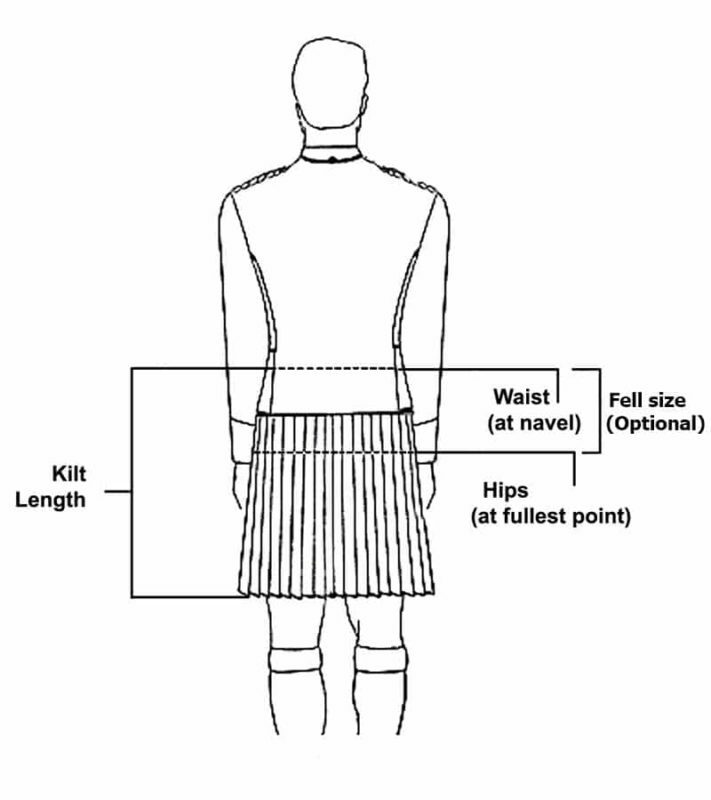 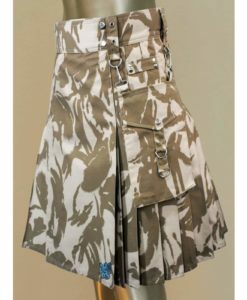 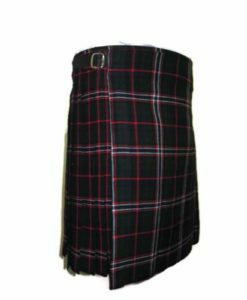 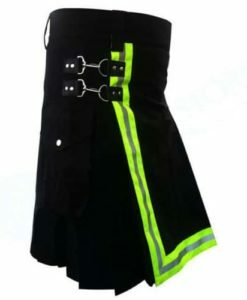 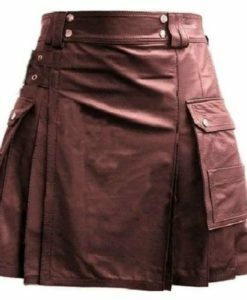 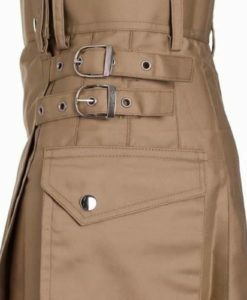 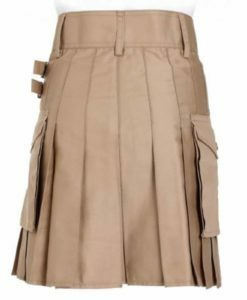 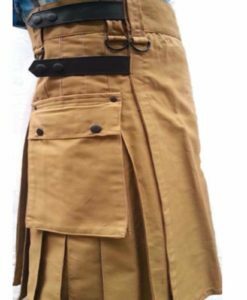 If you are looking forward some amazing addition to your kilts then you should definitely get this amazing kilt for yourself. 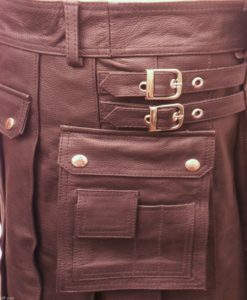 Two flap pockets either side. 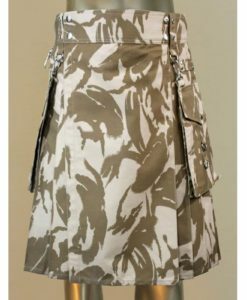 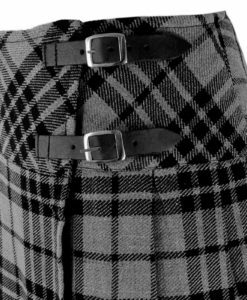 Studded apron and pocket flaps.